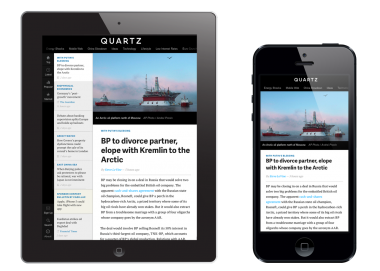 After a summer of buzz, Quartz, Atlantic Media’s new business news site, lights up today. Pro Tip 1: If you want to see what the fuss is about, head over to qz.com, not quartz.com. * The latter will only help you if you’re interested in tubing and rod. Pro Tip 2: Even though Quartz makes a big deal of targeting tablet and smartphone users, don’t bother looking for it at Apple’s App Store or Google’s Android Market. Instead of producing apps for the new publication, Quartz expects you to find its stuff the old-fashioned way — on the Web, via a WordPress-produced site. Paradoxically, that puts Quartz on the leading edge of digital publishing, or at least in the middle of digital publishing chatter. There’s a lot of talk about “Web apps” instead of “native apps” and “responsive design” right now, and Quartz highlights both concepts. In English: Instead of asking readers to download an app to get its stuff on tablets or phones, Quartz will work on the mobile Web browsers those machines already have. And it will publish a single Web site, which will configure itself depending on the kind of device and screen size each reader uses. Except that just two years ago, the entire publishing world was consumed with the iPad, and tablets in general, and the notion that device-specific apps would allow them to break free of the tyranny of the free Web’s economics. Instead of giving away their stuff online, publishers argued/hoped, they could sell discrete bundles of programming and content via Apple, and hopefully Google and other platforms. But, both publicly and privately, many publishers now concede that they’ve been underwhelmed with apps. The road for brand-new titles launched as apps has been even rockier. So the Quartz staff say they decided early on that they would give away their content, and they would do it on the Web. 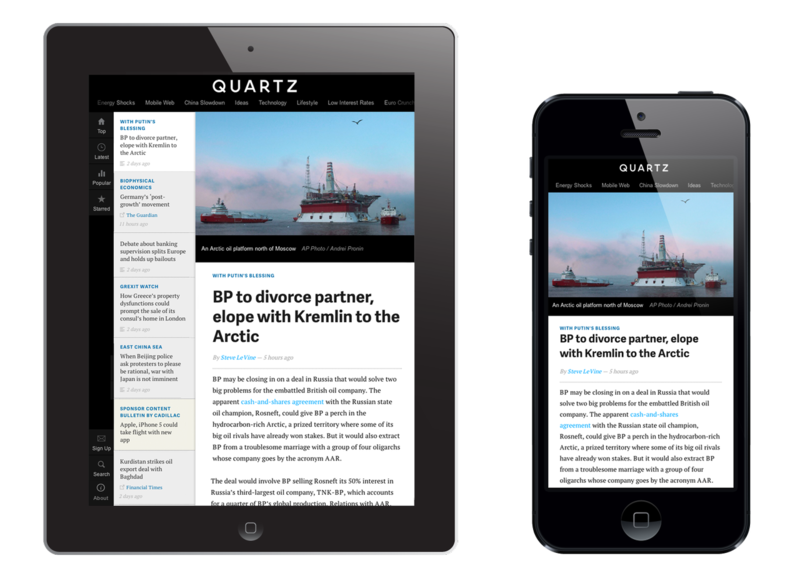 That’s intentional, Seward says, because Quartz wants to look more or less the same no matter what screen you’re using. And mobile sites have to be utilitarian. There’s some precedent for reaching high-end business news readers on mobile devices without a bona fide app. Last year, after a dispute with Apple over subscription terms, Pearson’s Financial Times launched its own Web app, which it says has performed quite well. But the FT already had an established brand, and customers. Quartz will now have to find its own without the help that someone like Apple could have provided via its App Store. At least as important: By bailing on native apps and the income they can provide, Quartz will have to fight for ad dollars in a brutal climate. 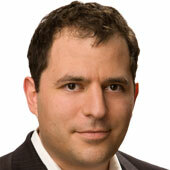 Mobile ads may be the future, but right now they’re dirt cheap. People who buy and sell display ads tell me that mobile eyeballs frequently sell at an 80 percent discount to Web prices, which are already under pressure. Team Quartz says they can solve that problem with a plan that involves selling “sponsorships” instead of conventional Web advertising, along with other tactics, like events. That one we won’t be able to assess for some time. *And you may have to be patient. The Quartz staff thought the site would be live early this morning, but is apparently still working out some last-minute kinks. **Both Seward and editor-in-chief Kevin Delaney used to work at The Wall Street Journal, which, like this Web site, is owned by News Corp.